Fits like a glove, even with gloves. 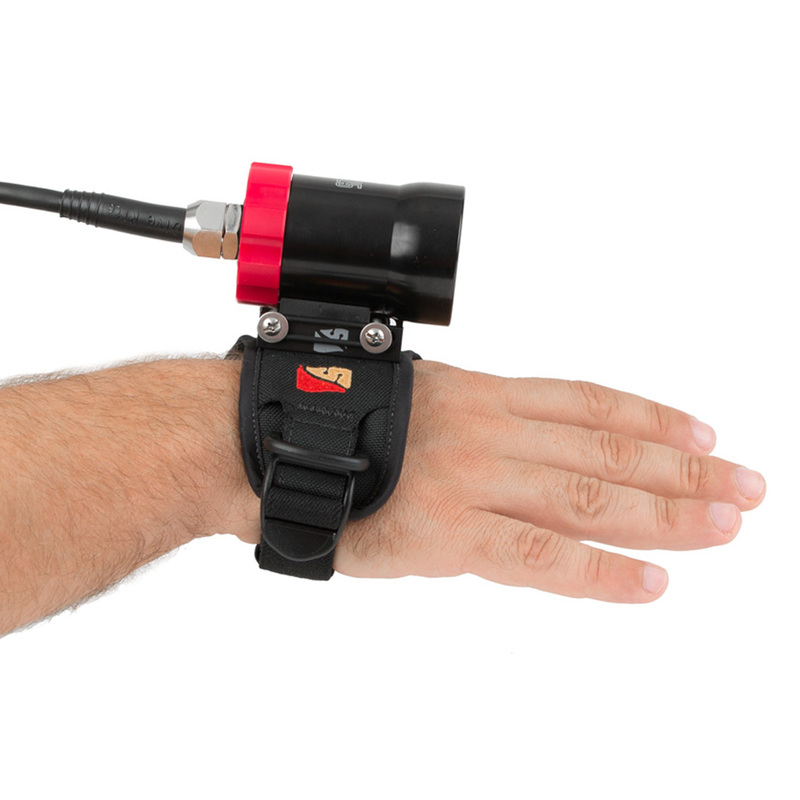 Adjustable to fit nearly any size hand, this handmount fits comfortably around a diver’s thumb, holding the handmount in place while the soft mount wraps around the diver’s hand, like a glove. A 1 inch (2.54cm) wide elastic strap with ladder lock secures the handmount to the diver’s hand and allows for easy adjusting in or out of the water. 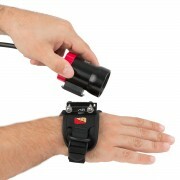 A 1 inch sewn plastic D-ring provides an additional attachment point for small accessories. 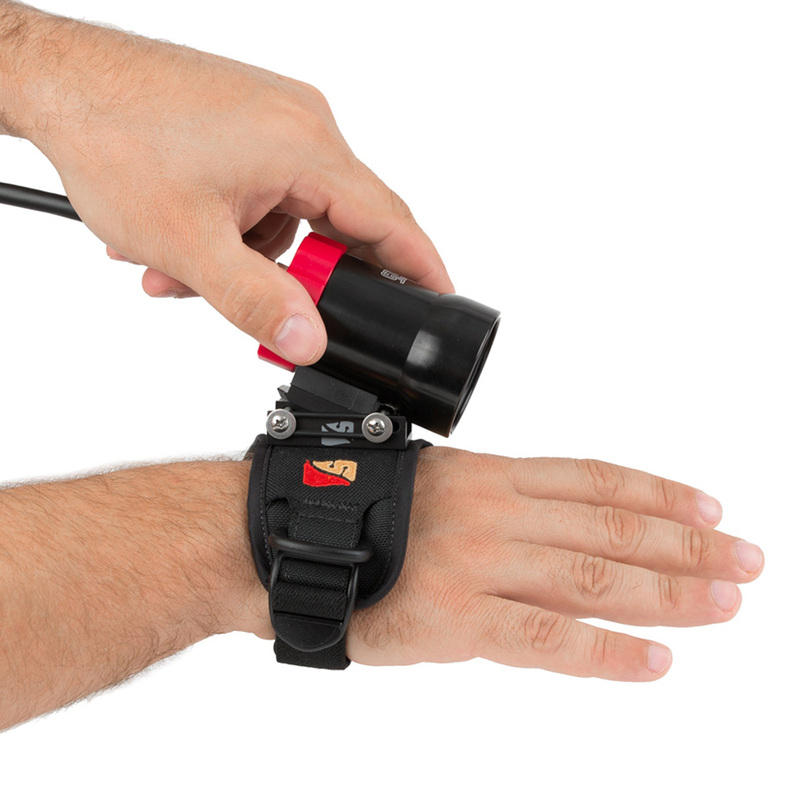 Dive Rite’s Quick Release Mount System(QRM) is provided as a way to quickly mount your light to the top of the handmount. The QRM allows for easy switching between lights and mounting positions for different situations.